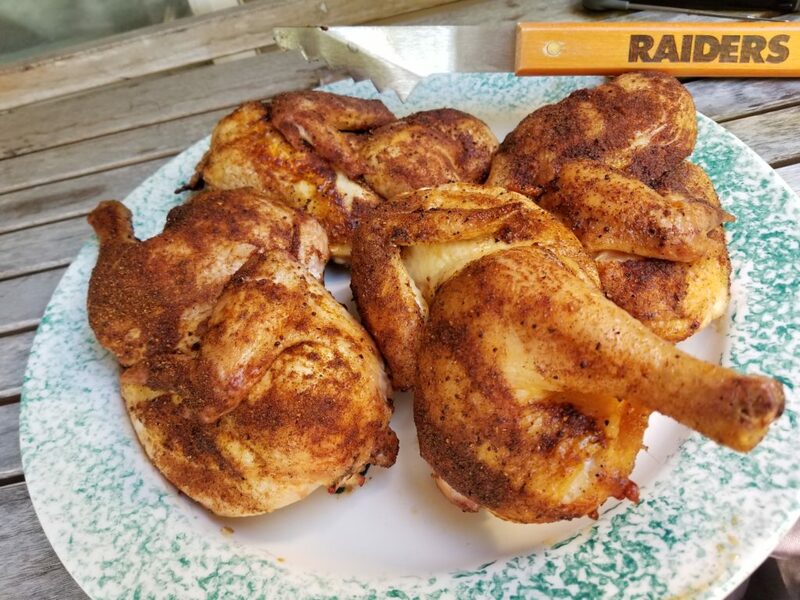 Chicken is always good on the Traeger and now I have found a new favorite way to grill it. Half Chickens! If you cannot find half chickens at the store just buy whole ones and cut them in two. Easy to do if you have a good pair of Kitchen Shears. Grilling this way seems to keeps the chicken juicy with tons of flavor. 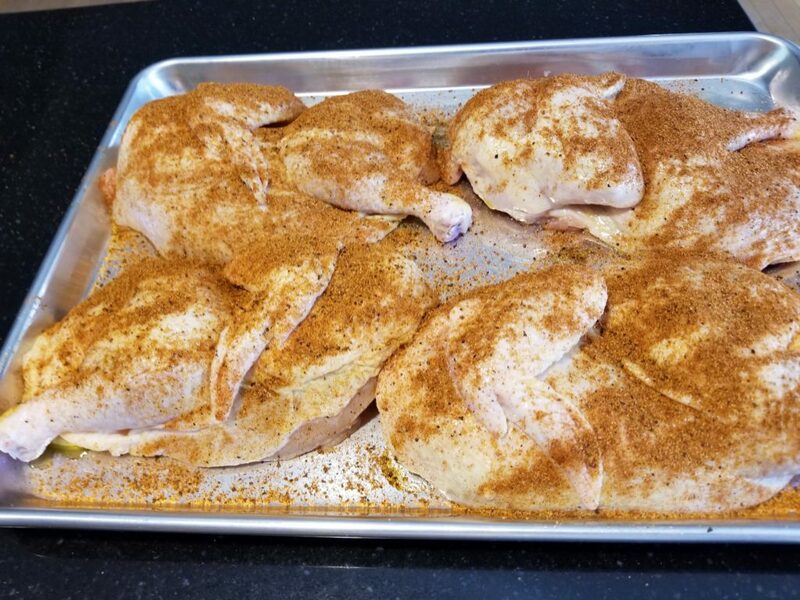 You place the half chickens skin side up on the grates and cook at 325 degrees until for 1-1 1/2 hours. Once the internal temp hits 165 you are good to go. I found an excellent ‘Rotisserie Rub’ to use on the chicken. Tastes like the ones you get in the store! Toss it on liberally and let chicken sit for about 15 minutes before tossing on the grill. Always make extra as the leftover chicken is perfect for chicken salad!! This entry was posted in Grilling. Bookmark the permalink.